Monday thru Friday 9-5. Saturday 9-1. Opening a new location April 1st in St. Helen Michigan! 1343 N. St. Helen Rd. We sell new and used, gas and electric golf carts. We are an authorized Club Car, Yamaha and Star Dealer. 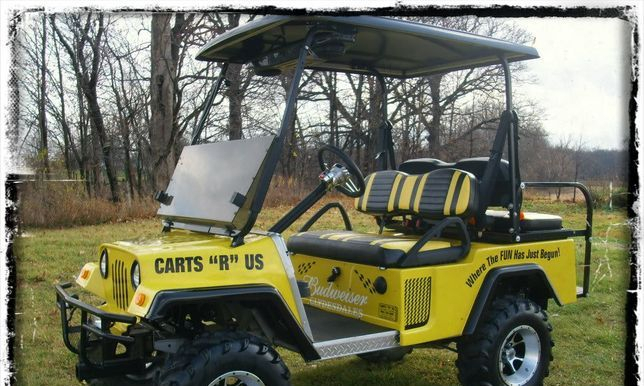 We service all makes and models of carts and have many great accessories. We can build a cart to suite your needs. Including rear flip seats, lift kits, light kits, brush guards, fender flares, dashes, painted bodies, steering wheels, radios, mirrors, turn signals, windshields, enclosures, storage covers, graphics, etc.